The Santa Clara Police Department (SCPD) continues to grow its relationship with the Special Olympics Northern California. The department raised $69,655 in 2018, more than any other department in the region. 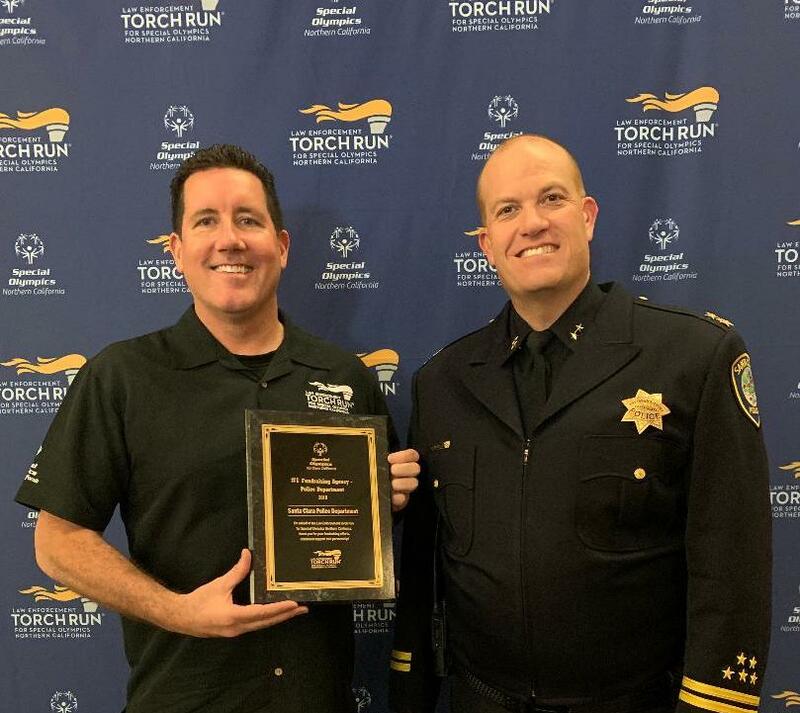 The department was honored with a plaque on Jan. 23 in front of a crowd of police officers from all over Northern California as well as Special Olympic athletes. In total, Northern California police officers donated more than a million dollars to the nonprofit in 2018. The SCPD has worked with the Special Olympics Northern California for more than 22 years; Winter has been involved for 18 of those years. Winter also serves as the State Director of the law enforcement Torch Run for the Northern California Special Olympics. 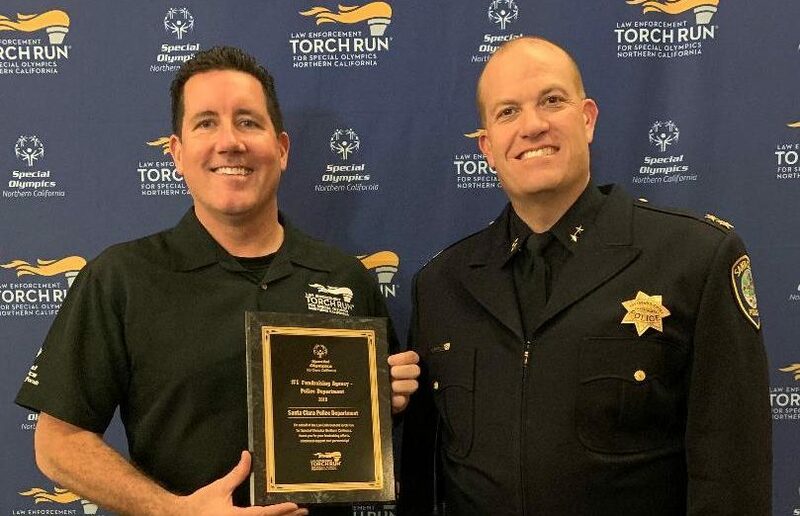 For two weeks in June, law enforcement officers and Special Olympic athletes carry the torch throughout Northern California. Santa Clara police officers take part in that run. They receive the torch from San Jose police, and run it five miles down El Camino Real before handing it off to Sunnyvale police. The run is just one of the many fundraisers the officers take part in throughout the year. Winter says people do not have to jump into icy water to help, however. There are a number of ways people can get involved with fundraising. The Tip-A-Cop fundraisers happen every few months with officers serving up food at a local restaurant. All the tips they receive are donated to the Special Olympics. To find out more about upcoming fundraisers, follow the SCPD on Twitter @SantaClaraPD or on Facebook www.facebook.com/santaclarapd.